(1) You can order this kit now on ebay for only £34 – search ebay.co.uk for ‘andypi’. Now available for dispatch in limited quantity! (2) You can order just the 3D printed case here, it normally takes around one week for printing and delivery, cost £10. You can either order the case to fit the adafruit ‘sequin’ LED or a 3mm square low profile LED. 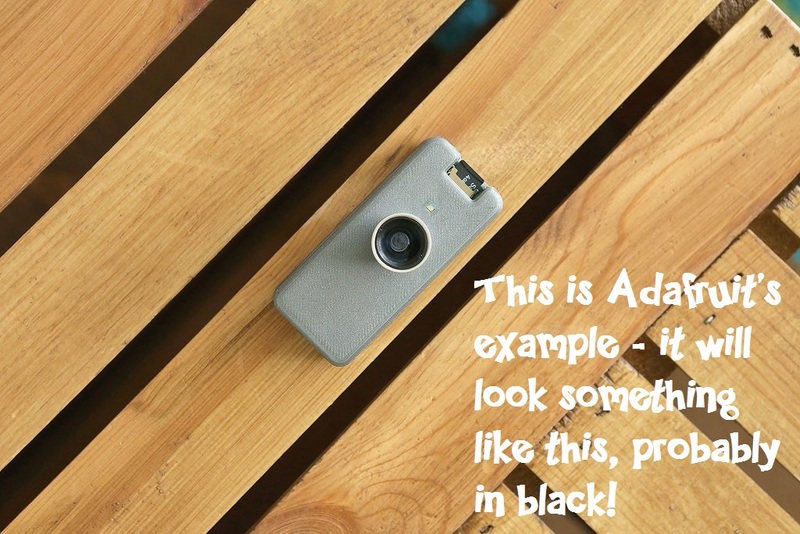 Worn on a lanyard or clipped to a pocket or pack, this adorable camera snaps a photo every few seconds. Slide the SD card into your computer to review the day’s activities or merge all the images into a timelapse animation. Powered by the diminutive and affordable Raspberry Pi Zero, this project is eminently configurable and customizable! AndyPi has a packaged kit which will save you £££ buying the items individually from Adafruit or other suppliers, and the 3D printed case is included. The case has a small modification from the Adafruit design to fit our SuperBrite LED.